Infinix S2 is the stripped down version of the Infinix S2 Pro, a smartphone that made it debut some days back in Kenya. From the information we gathered, Infinix S2 X522 is the version of the two devices that will be available in Nigeria for now. 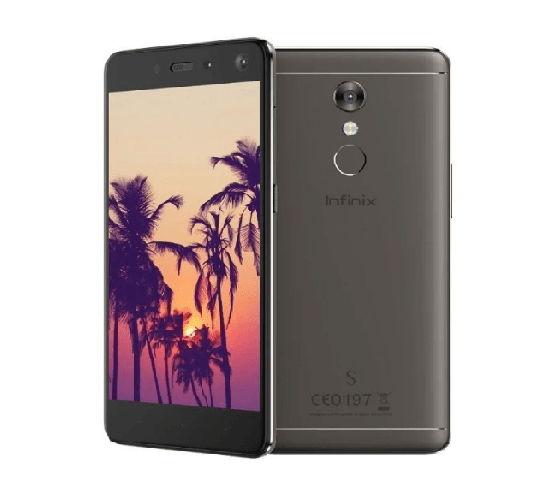 Infinix S2 is almost the same as the S2 Pro. The only notable difference between the two is that S2 comes with 2GB RAM and 16GB internal storage while S2 Pro comes with (3GB + 32GB). But that can make a lot of difference for some users. Infinix S2 also comes with 135° dual front camera. The new smartphone feature a 13 MP + 8 MP front camera which makes it also “wefie” smartphone. In case you don’t know already, a wefie in a simple term, is the plural of selfie. That is, a selfie with 2 or more people. Group selfie if you may. S2 X522 comes with 5.2-inch 720 x 1280 HD IPS display and also with a 2.5D glass technology, just like the S2 Pro. The pixel per inch (PPI) of the display is 282 ppi. The Infinix S2 comes with Android 6.0 out of the box, but it is upgradable to Android 7.0 Nougat. The device is powered by an Octa-core Cortex MT6753W processor, clocking at the speed of 1.3 GHz. Infinix S2 has all other features of the S2 Pro such as fingerprint scanner which can be found at the center of the back of the device, 13 MP back camera, full metal body, 3000mAh battery capacity and a host of others. Infinix S2 X522 is available in Nigeria and you can purchase it at Jumia Nigeria at the moment. The device will also be available on other online and offline mobile retail stores soon. The retail price of the Infinix S2 starts from about NGN 60,999 (about 158.5 USD).